My primary ministry is to help coordinate church planting in the area where I live. In that role I get to spend time with a lot of fine young couples who have a passion for changing their corner of the world. One of the things I assist those couples in doing is to find some partners who will stand with them in prayer, giving and volunteering. Those partners come from other area churches as well as from churches outside our area. It is a lot of work to find partners willing to sacrifice their time, their treasure and their talents to help a church they are not even part of. But the Lord touches the hearts of partners and they join the cause. Once one of our church planters sent a Facebook message to me. He had been working the social media angle pretty hard trying to find partners. Though some people had responded, many had not. In a pointed moment of realization it occurred to him that many of the people he was contacting about partnering with him in church planting were ignoring his messages about partnering but sending him countless messages inviting him to play games on Facebook. He found it ironic that they would talk to him a lot about video games but not about sharing Jesus with others. His message pondered what it would be like if he could get people as excited about partnering with him in ministry as they were about playing games on Facebook. I wonder the same thing. People who tell me they do not have time to volunteer seem to have the time to play on both softball and basketball leagues. People who tell me they do not have money to donate somehow have the money to drive the latest model car with all the upgrades. Pastors who tell me their church is too stretched to help plant another church find money for another round of renovations in a sanctuary that already looks pristine. Church youth groups and senior adult groups go on amazing sight-seeing trips on fully equipped buses, but seem unable to take those same people on a mission trip. Once I got a letter from a mega-church asking me for money. They wanted to build a $120,000 playground for the children in their already well-funded private school. I sent them a letter back suggesting they tithe off their playground fund to a church plant in New England. I never got a response. 1 Corinthians 9:20-22 - 20 To the Jews I became like a Jew, to win Jews; to those under the law, like one under the law—though I myself am not under the law—to win those under the law. 21 To those who are without that law, like one without the law—not being without God’s law but within Christ’s law—to win those without the law. 22 To the weak I became weak, in order to win the weak. I have become all things to all people, so that I may by every possible means save some. I do not know how long I stood in the middle of the road looking at that cow, but eventually someone drove by in their pickup truck and asked what I was doing. I replied that a killer cow had gotten loose and I did not know what to do. They looked at me, looked at the cow and laughed hysterically as they drove away. Eventually I realized that the poor creature was just a harmless old milk cow. I slowly eased past her and went on my way. I knew I was not in the city anymore! During the eight years I served that church, I learned a great many things about how to minister in a rural village. However, I never had to change the Gospel itself. The Gospel is always relevant to all cultures in all time periods and to all people groups. There is no other Gospel but the one found in the New Testament that begins with the sinfulness of mankind and ends with the death, burial and resurrection of Christ. But methods and programs used to communicate the Gospel are constantly changing. One generation might use flannel graph and chalkboards, another generation might use video projectors and smart boards, but the message of the Gospel remains the same. Prayer: Lord, help us learn to share the Gospel in ways those around us can understand. Amen. I had cancer surgery a few weeks ago. By God's grace I am recovering well. I was blessed to preach my first sermon since my surgery yesterday morning for Resurrection Day. Below are the notes from the sermon, which was preached at Faith Fellowship, a church that meets on the campus of the University of Hartford. • For years my mother told me our family had this condition called Lynch Syndrome. It is an inherited genetic mutation that makes us more prone to certain kinds of cancer. For years I ignored her, after all, I felt fine. Clearly I did not have cancer. But finally I went to get tested, assuming everything would come out fine. • I remember sitting in the doctor’s office while he was explaining my test results. After he used the word “cancer” half a dozen times, it finally dawned on me what he was saying. I had cancer. It was a life changing moment. • The odd thing about cancer is that it starts small. Most people do not even realize it is inside of them. People with early stage cancer just keep living their lives, going to work, loving their families and do not even realize that they are the Walking Dead. But the cancer keeps growing until it eventually causes problems. That is when most people realize it. It is often too late. • Thankfully, in my case, my mother and a genetic counselor and the U Conn Colon Cancer Prevention Clinic kept pestering me until I got myself checked out. I really did not like all these people putting their nose in my personal business. And I really did not like all the invasive tests that had to be done to confirm that I had cancer. • The surgery to remove my cancer was rough and though I am doing well, I am still limited by certain aspects of my recovery. But I am now CANCER FREE!!!! I am no longer the Walking Dead. I am more fully alive than I have ever been. What Does All of that Have to Do with Easter? • All of us have a deadly cancer growing inside of us. Perhaps not a physical cancer like I had, but a spiritual cancer called sin. It starts small and at first it does not seem to have a negative impact on how we live. • Family members, Sunday School teachers, pastors, and friends warn us about it and tell us to deal with it before it gets out of hand. But we typically ignore them because it seems like life is going just fine. We may even be offended that these people put their nose into our personal business. After all who are they to judge us or our behavior? • Our sin slowly grows until it begins to cause problems in our lives. That is when we realize we are the Walking Dead. James 1:14-15 - 14 But each person is tempted when he is lured and enticed by his own desire.15 Then desire when it has conceived gives birth to sin, and sin when it is fully grown brings forth death. • Each of us desires different things in life. Some of them are good, but some of them are bad. • What starts as a bed desire grows into sin. Sin, left unchecked, will eventually destroy us. • Sin brings death to relationships. Sin brings death to our hopes and dreams. Sin sometimes brings physical death. • But there is a solution to this sin sickness. 1 Timothy 1:15 - This saying is trustworthy and deserving of full acceptance, that Christ Jesus came into the world to save sinners, of whom I am the foremost. • Jesus came to save sinners. He came to make the Walking Dead fully alive and full of joy. • Jesus accomplished this through two aspects of the Easter story. 1 Peter 2:22, 24 - He committed no sin, neither was deceit found in his mouth. 24 He himself bore our sins in his body on the tree, that we might die to sin and live to righteousness. By his wounds you have been healed. • The first part of the Easter story is Jesus dying on the cross. • Jesus was sinless, therefore He was pure enough to offer Himself as a sacrifice for us. • On the cross all our sins were placed on Jesus. His wounds have the power to heal us of the cancer of sin that is inside us. • How do we know He is really powerful enough to cover all our sins? • The first part of the Easter story is Jesus dying on the cross. The second part of the Easter story is the resurrection of Jesus from the dead. If Jesus can conquer death then He can conquer anything, even our most despicable sins. • In those days they did not have modern embalming methods. The way they prepared a body for burial was to put spices in the cloth that they wrapped the body with. • The Jewish faith required them to rest on the Sabbath, so they were not able to care for Jesus’ body until the next day. 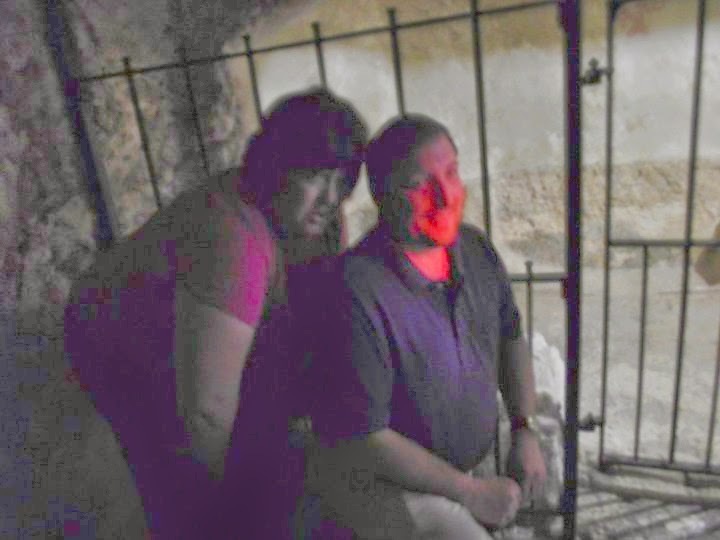 • On the way to the tomb to care for Jesus’ body, the ladies discussed how they would move the stone that was across the entrance to the tomb. • This stone would have been large enough to cover the entrance way, which would have been about waist high for an adult. It would have been fitted into a slot in the ground that sloped down, making it hard to move. • It would have taken quite a force of strong men to open the tomb. There is no way these three ladies were going to be able to do it themselves. • Every one of us has some “stone” we have to overcome in order to believe. • But if we do not start toward Jesus, believing that somehow that stone is movable, then we will never find Him. • We must stop looking for excuses for not believing, and start trusting God to help us find a way to overcome our doubts. • If we start toward Jesus, even while we still have questions and doubts, we will find that our stumbling blocks have somehow become stepping stones toward the Savior. • The ladies entered the tomb and saw an angel. The other Gospels tell us there were actually two angels there, but they saw this one first and they were both amazed and alarmed. • God often sends us numerous messages to get our attention, but we finally see one and start listening. When we first begin to sense God at work in our lives, we may be both amazed and alarmed. We are amazed because we cannot imagine that we are important enough to God that He actually wanted to do something big for us. • We are alarmed because we wonder what God might require of us and what will happen. Verse 6 - "Don't be alarmed," he told them. "You are looking for Jesus the Nazarene, who was crucified. He has been resurrected! He is not here! See the place where they put Him. • The angel told the ladies not to be alarmed because Jesus was alive and everything was going to be alright. • Jesus displayed the ultimate power in the universe when He conquered death. 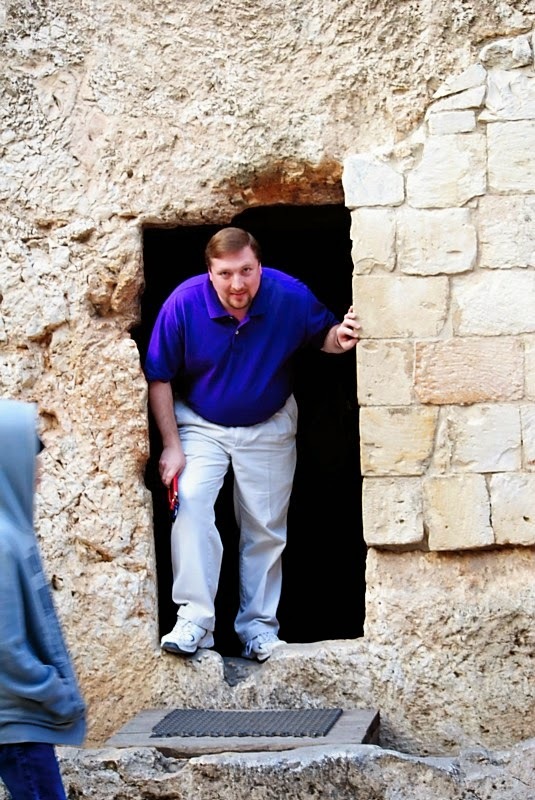 Jesus is no longer in the tomb. • Some people say that is narrow minded and arrogant for Christianity to claim to be the only way to God. But Jesus is the only founder of a world religion whose tomb is empty! • Though other great religious teachers may have done good deeds and helped others, only Jesus conquered sin and death. Other founders of world religions did their thing, good as it may have been, and then died. Jesus did His thing, died and came back to life! • If Jesus has the power to conquer death, he has the power to conquer anything. • The angel told the ladies to go and tell the disciples, and Peter, that Jesus was alive. • Likewise, we have an obligation to tell the Walking Dead around us that Jesus is alive and that He can make them alive as well. • Why would the angel specifically mention Peter? • Peter had failed Jesus by denying he knew Jesus, just when Jesus needed him most. The angel wanted the ladies to specifically tell Peter that Jesus was alive so that Peter would realize there was hope for him to correct what he had done wrong. • Sometimes we feel like we have let God down so much that we can never make things right with Him. We think our sin cancer is too great for God to fix. But Jesus wants us to know that His power to conquer death also gives Him the power to conquer our sin, no matter how great it is. None of us are so far gone that the One who conquered death cannot transform us from the Walking Dead into the fully alive! We are only hopeless if we refuse to respond to Jesus’s calling to salvation. We are only hopeless if we are determined to remain part of the Walking Dead. • If we have not yet made a commitment to Christ, TODAY would be a great day to place our faith in Him. I know I have sinned many times in my life. I realize that sin will one day destroy me. I believe that You died for my sins and rose again to conquer sin in my life. I ask You to forgive me of my sins. I commit to serve You for the rest of my life to the best of my ability. In Your name I pray, Amen. • The power of the Easter story is that if we will commit ourselves to Jesus, He will change us from the Walking Dead into the fully alive. • The power of the Easter story compels us to share this important truth with those around us so they too can be transformed from the Walking Dead into the fully alive. This is especially important for those who think they are too far gone for Jesus to change. Good Friday. What a name for a day on which something so terrible happened. To think that an innocent man was brutally murdered in front of an approving crowd is almost unimaginable, except that it actually happened. Good Friday shows the depths of the depravity of man. It shows how low people will sink to protect their political aspirations, their theological assumptions, their place in the world. It shows how even good people will deny to know the truth or hide in the shadows while great horror happens around them, which begs the question, are they actually good? Good Friday also shows the glory of the love of God. 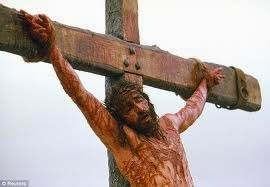 That He would endure such agony for us is something hard to fathom. None of us deserve it. None of us can truly appreciate it. None of us would even understand it without the gift of grace. Yet, while we were yet sinners, God demonstrated His love for us by allowing Jesus to die for us (Romans 5:8). What makes this day good is not the agony of Jesus, but the love He had for those He was in agony for. Because of what happened on this day, every good and perfect gift can now come to us from the Lord who does not change like the ever shifting court of public opinion (James 1:17). He has declared that He loves us. And that declaration stands. No matter what. Hard to accept, and yet it is true. When I first moved to New England to pastor a Baptist church, I was surprised to learn that the majority of my church members were from non-Baptist backgrounds. They were drawn to the church by the solid Bible teaching and the rich fellowship, not by denominational connection. Twenty years later, though still very loyal to my own denomination, I have become quite comfortable serving in inter-denominational situations that are common in New England. I think this is a skill most pastors are going to have to gain for effective ministry in the years to come. This book is useful for both individual study and small groups. The premise of the book is that our understanding of spiritual gifts must flow from a Biblical basis and emphasize how the gifts work together for the greater effectiveness of the church. Though it is impossible to completely remove my denominational position, after so many years of working in inter-denominational situations, I think the book is one of the more balanced on the subject. All the proceeds from the book will be used to help my youngest son become a missionary. He has already spent 78 days in Haiti working in an orphanage last summer and will spend four months in Thailand in the fall helping with faith-based economic development programs. He will then return to the U.S. to finish another three semesters of college before launching his missionary career. Your purchase will not only be a blessing to your own study of scripture, but it will help him pursue his missionary passion. It would be a great blessing if you would “share” the Amazon link on your Facebook page or on twitter or other social media outlets. Dr. Terry W. Dorsett forthrightly approaches this controversial subject with a conversational style. He faithfully applies scriptural concepts with sincere convictions. He understands that spiritual gifts are not for enjoyment or entertainment but for the enrichment of the body of Christ. Read this book to be inspired and instructed and to increase your effectiveness as a believer. I commend it to you! and Don’t Miss the Revival! Messages for Revival & Spiritual Awakening from Isaiah. Terry Dorsett has written a practical and insightful study on the purpose and practice of spiritual gifts. Dr. Dorsett applies his rich Biblical knowledge to this issue, with a warm and user-friendly style that allows everyone to gain a greater depth of understanding. Whether used in a small group or as an individual study, everyone who opens this book will be greatly encouraged. Churches and individual Christians alike will benefit from the study of the spiritual gifts, and Teaming Up: Using Our Spiritual Gifts Effectively is just the resource they need. Terry Dorsett does a thorough job of providing both a good overview of this complex subject and great questions for discussion. Using this book in small groups should provide opportunity for greater learning and use of the gifts God gives His people!" Author of "The Crucified Church"
Teaming Up: Using Our Spiritual Gifts Effectively is very thorough and explains in practical terms how our spiritual gifts can be used effectively in our Christian walk. The book uses both scripture and questions, which lead to thought provoking conversations. The section on the gift of service was particularly good. In that chapter Terry Dorsett reminds us that "because the person with the gift of service is often the first person to volunteer for everything, they may become involved in so many different ministries that none of them can be done well." This is important. I would use this book in developing leaders and encouraging young adults to find their place in the church body. No responsible church leader would dare question the crucial, all important role of the Holy Spirit in the life and operation of the local church. To do so would be to strike at the very heartbeat of the Body of Christ. Whether the individual—the first unit of the church—or the Body as a whole, at every level the church is dependent on the Holy Spirit for energy, knowledge, and leadership. Sadly, many congregations are yet to realize the powerful benefits of the Spirit’s presence and operation, benefits that extend to God-glorifying vision, growth, and vitality. Dr. Terry Dorsett has taken an enlightening step toward correcting such church-based deficiencies. In his book, Teaming Up: Using Our Spiritual Gifts Effectively, Dorsett explores the ministry of the Holy Spirit to the church from the perspective of the Spirit’s equipping work in believers through spiritual gifts. Asking that readers set aside the numerous viewpoints related to spiritual gifts and approach the subject with an open mind, Dorsett provides a fresh and thoroughly biblical look at how each gift is intended to build the church by strengthening believers through effective, mutual ministry. This he accomplishes with skill and clarity. Dorsett’s years as an instructor are clearly evident in this book. He has created an interactive workbook that is at the same time engaging and instructive. Always giving weight to a wealth of Scripture references, readers are encouraged to respond to questions and concepts that build an undeniable case for the discovery and use of spiritual gifts as the church’s primary ministry tools. True to the book’s title, Dorsett is careful to not only direct the reader conceptual truth, he demonstrates in very practical terms how to utilize the Spirit’s gifting in very effective ways within the Body of Christ. 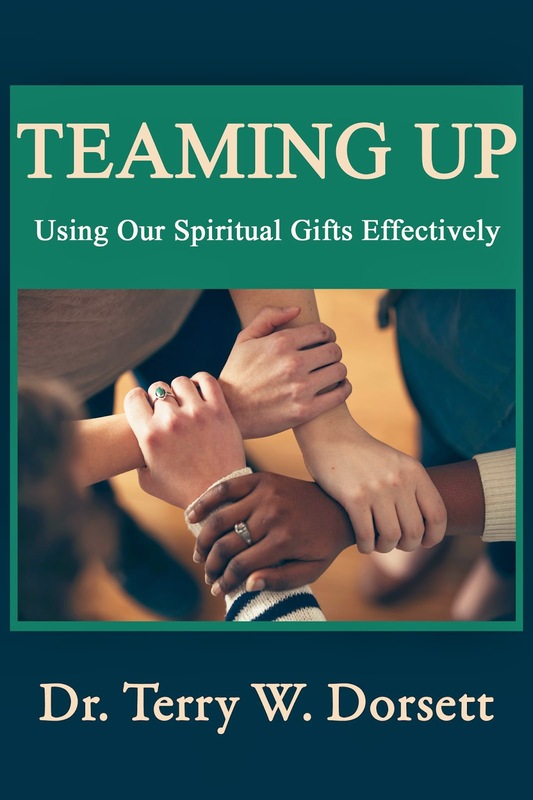 Teaming Up: Using Our Spiritual Gifts Effectively is a must read for individuals believers and groups of believers. It is not an overstatement to say that this workbook should be studied as standard curriculum for entire churches that wish to grow on the most scriptural basis possible. The book is readable, challenging, and highly recommended. Dr. Dorsett’s latest book is a great introduction to the gifts of the Holy Spirit. His years of experience in dealing with new believers and small groups shines through as he tackles subject material that is often neglected on one hand, or over emphasized on the other; all the while staying well within the bounds of Baptist theology. Its interactive style plays well with small groups, or individuals, looking for a basic Biblical understanding of spiritual gifts. If you want to train members of your congregation, and encourage dialog, if you want to edify, and build up the Body, and Bride of Christ through the gifts of the Holy Spirit, this would be a good source to turn to. In his latest book, Teaming Up: Using our Spiritual Gifts Effectively, Dr. Terry Dorsett offers some very helpful analysis on the Biblical subject of spiritual gifts. The scriptural truths concerning spiritual gifts has often been convoluted and even corrupted. But in each lesson in this book, Dr. Dorsett brings clarity and understanding to this topic. Rather than declaring war on opposing viewpoints, he carefully examines each spiritual gift mentioned in the New Testament. And in the process, he convinces all of us as believers to ascertain our area of spiritual giftedness and what our function is in the body of Christ. My fellow-believer, you should read this book! Spiritual disciplines and spiritual gifts are often the most overlooked and underutilized aspect of the daily Christian walk. If we are striving to be more like Christ then understanding these principles to be more like Him and helping others to be more like Him is essential. Do not let the brevity of this work fool you. Dr. Terry Dorsett does an amazing job at unpacking what spiritual gifts are, how to better understand them and practical ways to apply them to your daily living. This book has the potential to change your relationship with Christ and others in a real and dynamic way. In his book, “Teaming Up: Using Our Spiritual Gifts Effectively,“ Dr. Terry W. Dorsett takes on one of the most important subjects in the Bible, the Holy Spirit, and specifically the gifts of the Holy Spirit. It is sometimes a confusing topic to understand, even among mature Christians, but Dr. Dorsett writes with clarity and wisdom about this topic. What I think is most beneficial in the book is that he tackles hard questions concerning the gifts of the Holy Spirit such as, the difference between natural abilities and spiritual gifts, how do we receive our gifts and why and how to properly use spiritual gifts. Dr. Dorsett reminds us, least we become prideful, that our gifts are from God and to be used for His purpose in building up the church. What is the difference between most of us and the spiritual giants that we read about in Christian biographies? Why are we lacking in power, purpose, and persistence in making an impact in our churches and this world today? Why do ministers often feel empty, tired and spiritually dried up? The answer to all of these questions are related to the filling of the Holy spirit and the proper use of recognizing and using the spiritual gifts that God has so graciously given us. Dr. Dorsett helps to engage his readers by explaining the Biblical truths concerning spiritual gifts and then asking the reader questions. Questions that all of us need to ask ourselves if we want to be used of God and effect in His service. Using our spiritual gifts will bring us joy and fulfillment, and will bring glory to God and a lasting impact on our world. If you want to use your spiritual gift effectively, I encourage all Christians to read this book and apply the truths so you can team up with God to bring Him glory and this world more truth and light. I highly recommend this much needed book. Terry Dorsett has written a much needed book on spiritual gifts and how the gifts function in the local church. He deals thoroughly with issues from confusion about spiritual gifts to the various gifts that function in the church. It is like an encyclopedia on spiritual gifts and will be a great resource for everyone desiring to know how to use spiritual gifts effectively and the impact that spiritual gifts can have in the ministry of the local church. 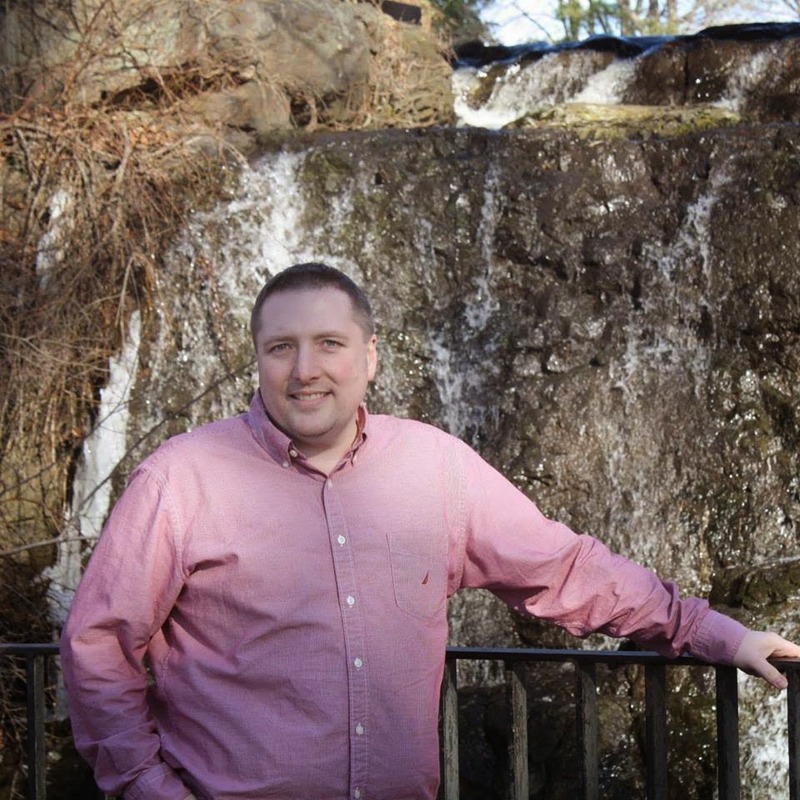 As my regular readers know, I was recently diagnosed with colon cancer. Since the diagnosis it has been a whirlwind of tests, procedures, and doctor’s appointments that resulted in major surgery, several days in the hospital and now recovery at home. Though there has been pain in the journey, all along the way I have been carried by the peace of Christ and the prayers of the saints of God. The doctor recently called with some good news. They had sent tissue samples off to a lab for testing after my surgery. All the samples came back clean. 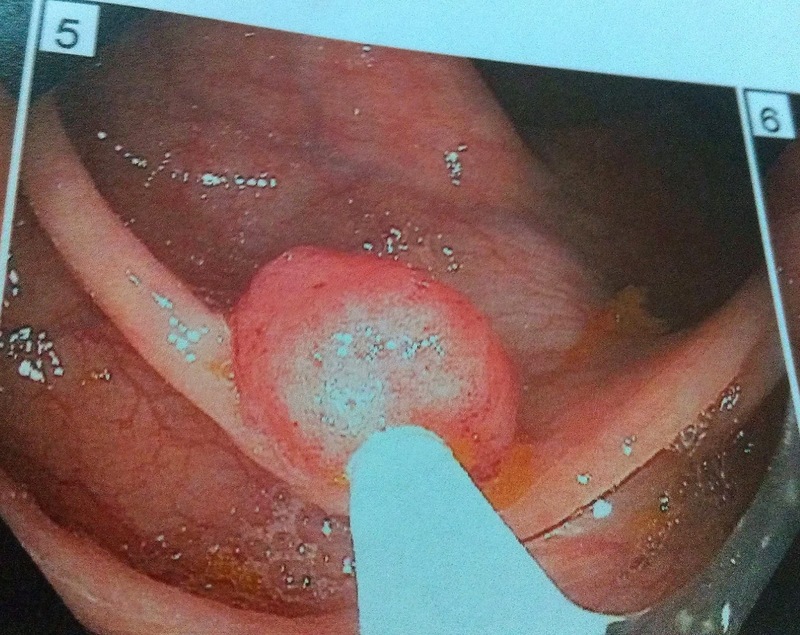 The cancer was contained in the colon and did not spread. So when they cut out that part of my colon, they got all the cancer and I am now cancer free. For that I am grateful, and for that God deserves the praise. The same day that I received the wonderful news that my cancer was gone I also heard some discouraging news that a dear friend’s cancer markers had gone up instead of down. Even as I rejoiced that my own situation was now much better, I wept knowing that hers was getting worse. I asked God why He would let me off so easy but allow Margie to suffer even more. That is a question that often haunts me as I try to minister to people in this sin cursed world. It may be easy for those who do not know Margie to conclude that I must somehow have more faith, or be more spiritual, or somehow more deserving of a cure from cancer. But those would be wrong conclusions. Margie and her husband served alongside us for many years when we were church planting missionaries in Vermont. The villages we served were similar in size and our sacrifices equal. If anything, she has sacrificed more because I eventually moved to a bigger town and my ministry grew as a result, but she and her husband have remained in a small village sharing the love of Jesus with a fairly unresponsive community. I know Margie and her husband to be people of intense prayer and great faith. They are surrounded by a remarkable prayer team who pray against her cancer regularly. And yet her cancer remains while mine is gone. It is not a matter of one being more spiritual than another or one having greater faith than the others. It is simply a matter of the will of God. I confess I do not understand the ways of God as He makes His will known to us. I confess I do not always like the way God does things, especially in times like this. But I do trust Him. He knows what He is doing and somehow, all of this pain works out for good to those who love God and are called to His purposes. That includes my dear friend Margie. Rejoice with me in my victory over cancer. Give praise to God for answered prayer and for His power to overcome anything. 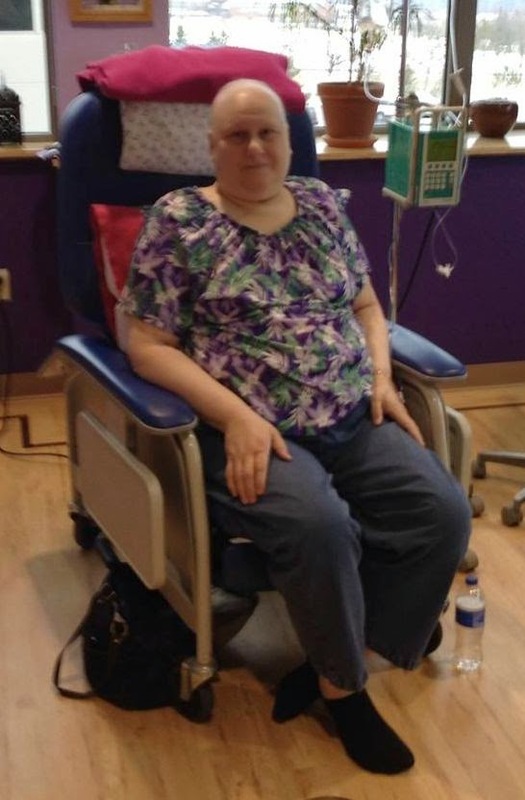 Then pray for Margie in her ongoing fight and ask God to help her experience the same victory. And the next time we see someone struggling more than us in our church or community, we must be careful not to assume they are somehow less spiritual or holy than us. They may be far more intense in their prayer time and level of faith, but for reasons that only God knows and understands, He has allowed them to walk through a trial of fire deeper than us. They need our support, love and understanding, not our dark thoughts and judgmental attitudes. Let us pray. Let us love each other. Let us wonder in the ways of God and trust Him above all things. Amen.